CGTV creates real success stories, and our alumni are proof of that. CGTV alum Bex Taylor-Klaus was interviewed by Collider after scoring her “big break” role of Bullet for the AMC series The Killing. Collider asked Bex if she remembered the moment she found out she had gotten the role. All aspiring actors hope to recall a moment like this. Another CGTV alum, RJ Cyler, has found fame starring in the new Power Rangers movie as the Blue Ranger. His first big break, though, was a smaller-budget indie film that became a Sundance darling, called “Me and Earl and the Dying Girl.” RJ played the titular Earl, who together with his co-worker befriend a classmate who has been diagnosed with cancer. RJ has said that the role of Earl has opened up many more opportunities for him, and was quoted as saying in an interview with Collider, “This is like the perfect launchpad for my career … now it’s only up and up.” A first acting gig is not only exciting for the actor who secures the role, but potentially life-changing as well. 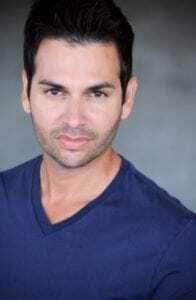 Adrian R’Mante, co-founder of CGTV and long-time working actor in Hollywood, gained his footing in show business when he received a scholarship to the theater program at the University of Central Florida-Orlando. Adrian had the fortunate opportunity to work with some of the top-acting professionals in the country. During his training, he worked on Nickelodeon’s Gamelab, Slimetime Live, and the prestigious Orlando Shakespeare Festival. Adrian eventually decided it was time to move to Hollywood and live out his dream in television and film. After arriving in Hollywood, Adrian landed a co-starring role on the TV show Profiler. 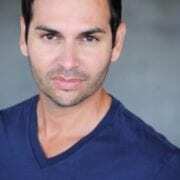 From here, Adrian met casting director Anthony Barneo who became the reason Adrian is where he is today. Adrian’s biggest and most recognized role to date is that of Esteban Julio Ricardo Montoya Dela Rosa Ramirez from the mega hit Disney Channel television show The Suite Life of Zack and Cody. If you are an aspiring actor, you too can one day hopefully feel the elation that comes with nabbing your first acting role. If you’re looking for a foot in the door in Hollywood, CGTV can help! CGTV is a high level TV, film, and entertainment program designed to help connect talent with some of the top agents, casting directors, and managers in Los Angeles. To get started, register on our website to receive information about upcoming audition events.